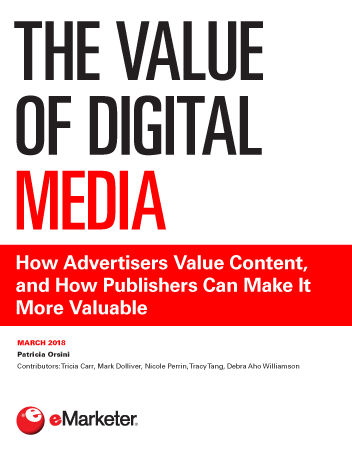 Fewer major publishers of premium digital content now believe display advertising on its own can cover the cost of producing quality content, let alone bring a profit. The reality that premium content is expensive to produce, combined with cluttered ad experiences that drive readers away, has forced publishers to develop a less-is-more approach to advertising. Meanwhile, publishers are increasing efforts to create subscription models that boost the bottom line. The result? Content that is more valuable to advertisers, and provides an experience that values its readers. Even the best content will drive away audiences if it’s presented poorly. Users turned off by pop-ups, overlays, autoplay video or just too many ads are likely to head somewhere else. And it’s hard to make money from content that’s essentially interchangeable with what’s found on many other platforms and channels. In their quest for viable revenue streams beyond advertising, publishers are beefing up subscriptions and memberships, offering hybrid free/paid models, developing events and testing new platforms. Advertisers are working more closely with publishers, searching for those they believe are legitimate and can offer more informed targeting. The value of advertising next to such content depends on the quality of the readership and the environment in which the content resides. "Publishers are using a number of revenue streams beyond advertising, with subscriptions among the most popular."